The PuFFiT-X is a portable conduction vaporizer that resembles a medical inhaler and it stands out as the only vaporizer of its kind that uses a force air system. The fan is included in the unit and it reduces the draw resistance significantly, but the downside is that it is very noisy. While the unit itself is very portable and can be used discreetly, the fact that it is very loud while in use means that it may not be the best option when you are in public places. Although the PuffiT-X has been discontinued, you may still find some models online or you may have one already and want to revisit what it offers. The Puffit-X features 8 different temp selections that range between 300 to 430 degrees Fahrenheit. It is possible to adjust the temps by turning the rotary dial temp selector. The lower temps don’t seem to produce any effects, which means that you can start your session at temp 7 (~410F) and end it at temp 8 (~430F). In general, the device takes about 20 to 35 seconds to heat, depending on the herb, the grind type and the temp. 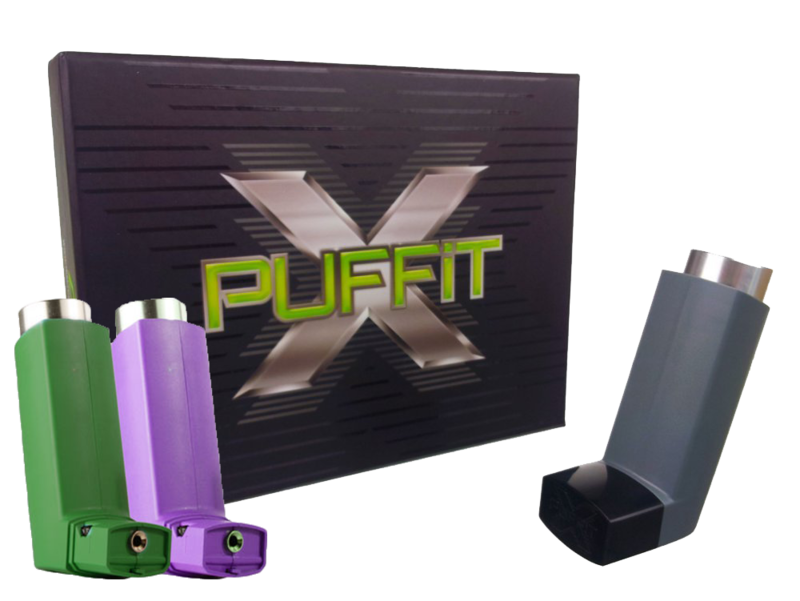 The Puffit-X has a gold plated chamber that uses a forced air system to deliver vapor with jsut a little bit of draw resistance. You can use the unit even without the fan, which is good news since the fan can be very noisy as previously mentioned. If you use it on fan speed 8, it is pretty loud but you can turn it off or use it on fan speed 1 to reduce the noise. This is a good solution if you want to use the device when you are on the go and don’t want to draw too much attention to you. The good thing about the assisted air is that you don’t need to rely on your lungs to get vapor. The battery life is quite good, considering the size of the device. You can get about 25 to 35 heating cycles before the battery dies, which happens after 3 to 4 bowl. This is more than enough for one person during a whole day. However, if you are sharing with friends, you may need to recharge quicker than that. The unit has a rapid recharge that lets you get the battery capacity to up to 80% in just one hour. Then you can allow some more time for it to be fully charged. The Puffit-X has a simple, convenient design and it looks just like a medical inhaler. It comes with a beautiful carrying case that allows you to store all the cleaning accessories and charging cable. There is also a convenient small stand that allows you to sit it the device on when it is cooling down or charging. There is also a Silicone Heat Shield that can be placed over the top button. It is advisable to use it since the button can get quite hot and you could burn yourself. You get 1-year warranty for the PUFFiT-X which covers flaws related to manufacturing and materials. This is pretty much the same amount of time that many other vaping devices offer. The battery is covered for 90 days, which is also the standard. Keep in mind that the warranty doesn’t apply to degradation cause by use. The PUFFit-X’s design makes it very discreet and portable. This novelty vaporizer offers more than a unusual look (at least for a vaporizer). 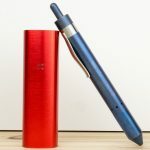 What really helped it to stand apart from other options was the fact that it is the first portable vaporizer with true convection heating and forced air vapor flow. It features an AC adapter that allows quick recharging. Although the fan can get very loud, if you use it at the minimum speed or simply turn it off, you can enjoy discretion when using the PUFFiT-X. 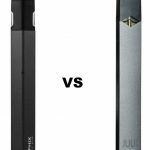 The battery life is good and the forced air system may be ideal for those who don’t like a vaporizer with a lot of draw resistance. You can still fidn some units online in a variety of colors including Green, Grey and Pink.